Arto Sign designers are specialized in real estate signs..., we manufacture For Sale and Yard signs, Open House Signs, PVC A-Frame, Name Riders, Metal A-Frame, Frame & Posts, Flags & Poles & Message Riders. Full color Real Estate Signs with Color or Black Pictures are one of our specialties. Car Magnetic Signs, Vinyl Banners, Car Graphics, Color Magnetic Signs, Vinyl Decals & two sided Vinyl Banners are part of our products. We started Silk Screen Printing 40 years ago and for the last 20 year we established In Glendale, Los Angeles, California (CA). We produce PVC A-Frame in different heights and sizes (3/4", 1" PVC Pipe) with different material open house signs panels. Real estate brokerage companies purchase their PVC A-Frame Signs along with Yard Signs from Arto sign Co., at low prices and highest quality. We are manufacturing signs to comply with California (CA), Los Angeles, Glendale climate. Corrugated plastic Signs, Famous to Coroplast signs this days are very popular, and we have the best prices in the Corrugated plastic signs (Coroplast), printed in full color and comes with variety of Wire H Frames. Call Toll Free (877) 871-6175 today! "Independent Realtors" Above this Page "Click Here"
Advertising real estate with full color vinyl banners and full color real estate signs is a popular choice. Digital full color decals and car graphics are also common and substantial to your advertising needs. 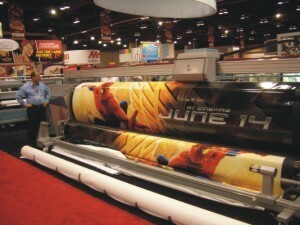 Vinyl signs and vinyl mesh banners or printing posters are produced best at Arto Sign Co. The pvc a-frame sign that is manufactured at Arto Sign Co. is a practical free standing unit for open house signs or other directional custom signs made from vinyl or coroplast. Contact us at Arto Sign Co. for real estate signs and open house pvc a-frame signs as well as car magnetic signs and vinyl banners. Due to the versatility of the screen printing process, it is possible to produce fantastic art work, and excellent designs, on the quality signs. Our dedicated staff will work to make sure you are completely satisfied with the quality of your signs and products. Stake Sign, Flag, Car Magnetic Signs, Parking Sign, Vinyl Banner, Real Estate Yard signs, Ask for new plastic injected A-frame for open house signs & Posts. Arto Sign Plant is located in California (CA), city of Glendale in Los Angeles county, we are surrounded with the following cities, Burbank, Pasadena, La Crescenta, La Canada and more. We serve all California (CA) as well as united state. Our neighbor cities in valley area like, Los Angeles, Sherman oaks, Studio City, Granada Hills, Northridge, Tarzana, gets benefits of our products and services. Call us at (877) 871-6175 today! Arto Sign Co. is a family-owned-and-operated business with more than 40 years experience. We take pride in offering you high-quality products, excellent workmanship, and personalized service. Give Arto Sign Co a call today and let us know how we can serve your advertising needs. We are specialized in real estate signs , open house signs & yard signs . Arto Sign Co produces full color signs & vinyl banners as well as vinyl decals, vehicle graphics & car magnetic signs to accommodate all advertising needs. Click Hereto Visit Our Online Sign Store!